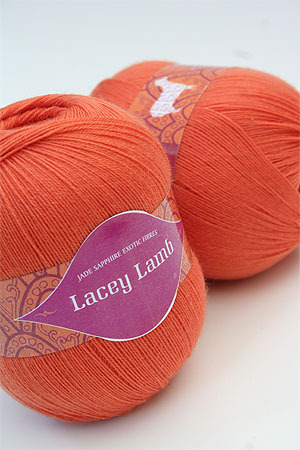 A lace knitters dream. a 3-ply lambswool yarn - knit singly, it works up singly for a combweb shawl, or knit in multiples for a variety of weights and textures. Featured extensively in Victorian Lace Today, this yarn is delightful - luxurious, light, and the colors are phenomenal - at a whopping 825 yards a skein, a scarf can be done with one, a lovely shawl with two - and with a beautifully gift boxed set of four - you can go where your imagination takes you! Alpacas are members of the Camelid family, which also includes llamas, vicuñas, guanacos and the "Old World" dromedary and Bactrian camels. Alpacas are ruminants with three stomach compartments which efficiently convert grass and hay into energy. Their padded feet with two toes each have little impact on the ground as they graze, making them friendly to the environment. Their communal dung piles make collection and composting into rich fertilizer easy. Alpacas communicate using body language and sounds. The most common sound is a soft hum, although they use others, including a clucking sound and an alarm call. Alpacas usually live to be 15 to 25 years old, are about 3 feet tall at the withers and usually weigh between 110 and 175 pounds. Baby alpacas are called crias, and usually weigh between 14 and 20 pounds at birth. The gestation period for a female alpaca is about 340 days (almost a year) and twins are rare. Two breeds of alpacas are recognized by their different fleece types: huacayas, which make up most of the North American herd, and suris. Huacayas have fluffy, crimpy fiber, while the more lustrous straight fiber of the suri hangs down in long tight locks. What is baby alpaca yarn? Baby alpaca fiber typically comes from the first shearing of an alpaca, giving you the softest, most beautiful fiber the animal may ever produce. Alpacas, llamas, vicuñas and guanacos come from South America, primarily Bolivia, Chile and Peru. It is thought that alpacas were originally domesticated from vicuñas in the Andean highlands of Peru more than 6,000 years ago. During the 11th and 12th centuries, alpacas were revered by the Incas, whose husbandry was very sophisticated. The animals were highly selected for abundant fine fiber, and evidence suggests that the quality of fiber then was superior to today's. These years of sophisticated breeding were interrupted by the Spanish conquest of the Incas in the 16th century, when alpacas that were not slaughtered were driven to the higher elevations of Peru and Bolivia, the "altiplano". In the 1800's, alpaca fiber was discovered by the English, and it has been an important worldwide commodity ever since. Peru produces about 90% of the world's alpaca fiber today. Alpaca fiber is valuable because of its many positive attributes and relative scarcity. It is as soft as cashmere, more durable than merino wool, fine, lightweight and lustrous. Alpacas come in 22 recognized natural colors with many variations and blends, more than any other fiber producing animal. Each year, an adult alpaca produces an average of five to eight pounds of fiber. In North America, alpaca fiber used to be sold almost exclusively to hand-spinners because there were not enough alpacas to make commercial processing economically viable. This changed in 1998, however, when breeders from all over North America formed the Alpaca Fiber Cooperative of North America, Inc. (AFCNA) to pool and process fiber each year. Alpacas are a growing part of the modern U.S. agricultural scene; breeding them is gaining popularity as a home business. Alpacas are also used as pets and 4H animals as well as for their luxury fiber. They are easy to train and care for, and are generally healthy and hardy, requiring only basic shelter, shearing, worming and annual vaccinations. Although most breeders enjoy daily contact with their animals, some people buy alpacas and board them with another breeder. Some people show their alpacas in showmanship, halter, obstacle and fleece classes. Alpacas are also used to demonstrate agility or the use of fiber at fairs and other exhibitions. They are excellent for PR and community service, such as visiting schools or nursing homes. They're shy, but generally well-mannered, and their charm and great looks bring smiles to everyone's faces.